It was more than a year ago since that last time I blogged. If you’re wondering why I haven’t been more attentive to this part of my site it’s because there simply hasn't been any time. My goal is to at least do one post a month from now on. My ambitious once a week goal from a couple of years ago, is not realistic, I won’t even kid myself this time around. If you’re finding yourself in a similar predicament, I’m no expert, but I think it’s okay to set realistic goals versus failing at overextended goals. This leads me to today’s blog post. With this past year being so busy one of those things keeping me busy was my opportunity to work with an amazing couple of dancers Alanna Kletcke and Brittany Amoroso. Who together created an organization for young dancers. The Moxie Project brings dancers from all over the Chicagoland area together to collaborate and engage with the community. Below I introduce you to the founders, Alanna and Brittany. I had the pleasure of doing photoshoot with each of them. Alanna and Brittany both participated in a shoot of their own in my studio. This brought them to the idea of inviting their students to do a shoot. To experience more than just dancing on a stage or in a show, but to also consider how their movements translate in print, how their movements are analyzed and perfected for that split second shot. Obviously, I jumped at the opportunity to host and create portraits for them. The participating dancer ages ranged from 7-18. Although the skill was different for each person, the talent was in abundance. 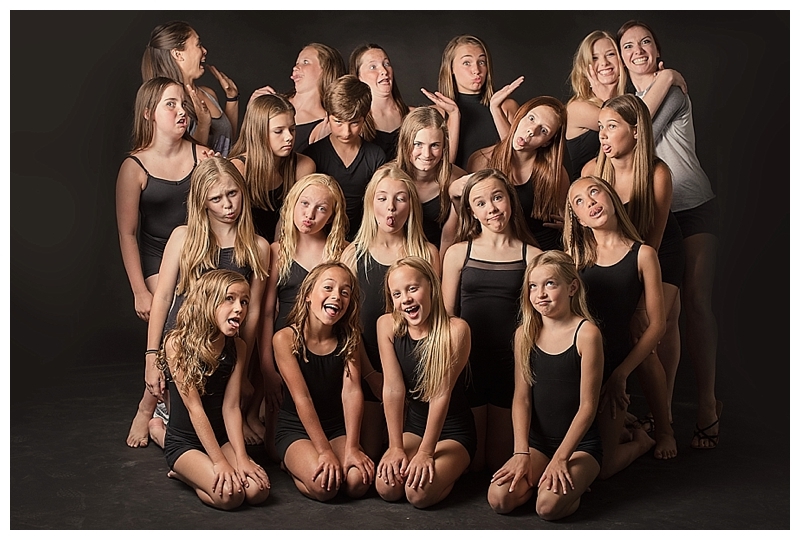 I am so happy The Moxie Project came to me with this idea and that we captured photos each dancer could enjoy. We also had a chance to photograph the whole group that participated. Here are a few of the group. Couldn't go without making funny faces too. If you’re in Chicago and interested in your child expanding their dance world visit and chat with The Moxie Project. They take the art form of dance and give opportunities to dancers to perform and use their voices beyond the studio. If you would like to learn more about participating or future projects contact them at moxiedanceproject@gmail.com.